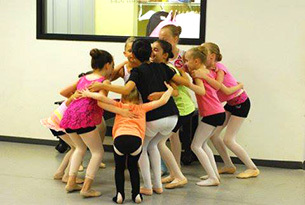 One-week, morning ballet camps for dancers ages 5-7. Weeks of July 29 or August 5th, or both! 9:30 – 11:30AM. A fun, varied, high-quality program. Circle Warm up, Creative Movement, Snack, Rehearsal, Craft. Students will have an observation class on Fridays with family invited. Limited space available. Tuition paid is not refundable. If you have questions about registration, please contact the office at studiomanager@princetondance.com or call 609-514-1600. Early Bird pricing in effect through March 15. Camps may be canceled if fewer than 5 students register.